The mobile observatory from the STARS project. This picture was taken by drone of the director standing in the brand new facility. Science, inquiry, project-based learning, and relevance take center stage in STARS. At a time of such ecological uncertainty, when some of our greatest minds have given us 1000 years as a species until extinction, one thing is abundantly clear: the study of celestial bodies, near and far, has never been more important. And while 1000 years may be a bit far off to even comprehend, it behooves us to broaden our understanding of our neighboring planets in stars in hopes that when the time comes for us to leave our terrestrial trappings behind, we’re ready. This is exactly what educators at George West High School have been working on for the past two years with their innovative STARS (South Texas Astronomical Research for Students) program. According to the report, in the first two years of this project all the areas above demonstrated tremendous progress in regards to research. Current efforts continue to focus the project primarily on astronomy, materials engineering, and solar energy. One of the most exciting developments of the past year was the STARS observatory telescope coming fully online to fully begin the program. It’s housed in the Mobile Astronomical Observatory, an 8 by 16 foot, 30-year-old converted marching band trailer. This year saw the final steps of the transformation into a scientific research facility. Even receiving a brand new coat of paint and its official logo as the school year began. Students of the science club get busy painting the mobile observatory’s exterior. The mobile observatory is divided into a control room and telescope room section. Most of the student researcher’s time is spent in the control room which is climate controlled. The primary instrument used this year with the telescope was the thermoelectrically cooled CCD camera that could be used to take timed exposures of the heavens as well as make measurements of star brightness at a variety of wavelengths. This opens the possibility of making measurements of color and surface temperature of stars or the shapes and rotational periods of asteroids. The student operators, CCD camera and main telescope are shown in the slideshow below. The observatory isn’t the only thing to be excited about. An unexpected offshoot of the astronomy program has been a new rocketry program. Interest in the mobile observatory inevitably led to an interest in all things space, and it led students to pursue the Team America Rocketry Challenge. Two teams from George West High School participated in this nationwide competition. The challenge was to build a rocket that would carry two raw hen eggs to an altitude of exactly 850 feet and return them to the ground undamaged in a flight time between 44 and 46 seconds. This is a most difficult task and one of the two teams (Cloud 9) qualified for the national competition. The Cloud 9 rocketry team of the STARS research project preparing their rockets for competition in Washington, DC. The solar ranch is another reason to celebrate this program. Junior Ryan Repka has been working on two different designs for photovoltaic arrays. The first one is the semi-active array. The first panel will be finished before the end of the school year and will be installed during the summer of 2016 with the entire photovoltaic array to be completed during the fall 2016 semester. At that point, Ryan will begin a semester long study as to the best ways to maximize efficiency, from panel positioning to water cooling of the panels. Through repositioning of photovoltaic arrays as part of the STARS research project, an additional 15-20% solar power efficiency can be realized.While this project exceeds expectations for high school students, it continues to expand student learning opportunities. In terms of agricultural and ecological research, the project is just beginning to make progress. In fact, an intriguing future project is taking shape. Not far from the observatory site and solar ranch, the first trees of a citrus orchard have been planted. The observatory site is a bit north of the main citrus growing region of Texas. Being on a hill out of areas of cold sinking air help, but this area is subject to serious killing frosts about one year in four. To combat this problem, the students and educators plan to develop what they are calling a microwave defroster. This system could be used to prevent frost damage on citrus but would be even more useful on more sensitive winter vegetables such as lettuce. 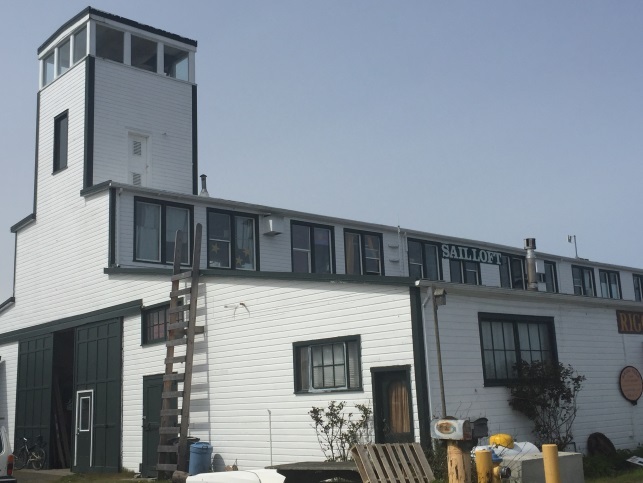 They plan to initiate a pilot project for this device no later than the winter of 2018. It truly is an exciting time to be a student or a teacher participating in the STARS program at George West High School. There’s something very powerful about teaching and learning while simultaneously working for a better future for all humans. This entry was posted in Engineering and Math, Science and tagged astronomy, Citizen Science, ecology, inquiry, materials engineering, mobile astronomy, observations, research ranch, science education, solar energy, solar ranch, student engagement. Becoming good at anything is a process. Educators know that students must develop confidence in the face of mistakes and failure, because they are truly an opportunity for learning. As Bob Lenz explains in Edutopia, “failure is an opportunity for students to receive feedback on their strengths as well as their areas of improvement — all for the purpose of getting better. When reframed as a good, constructive, and essential part of learning, failure is a master teacher,” (Failure is Essential to Learning, 2015). 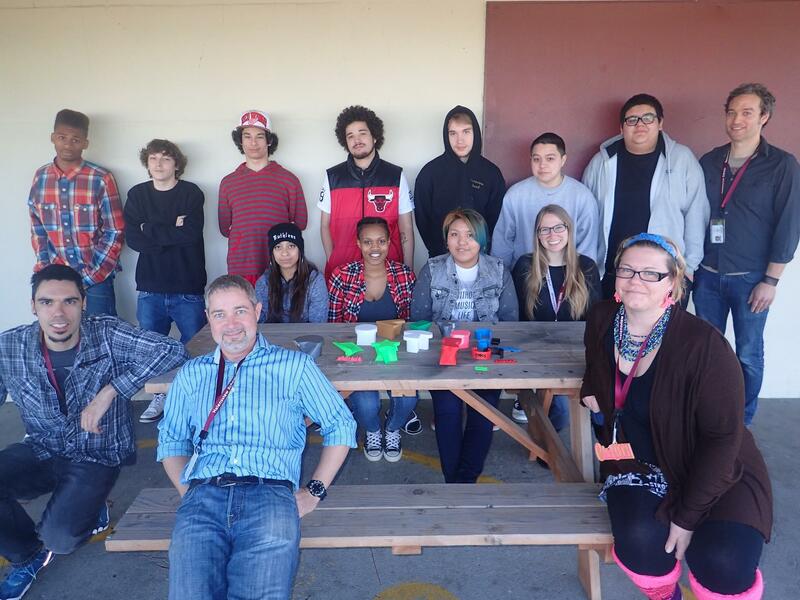 In this report from App Development and 3D Printing for At-Risk Youth, you’ll hear more about how a partnership at Helensview Alternative High School in Portland, Oregon, helped students build confidence and work through failure by developing 3D printed objects and apps. 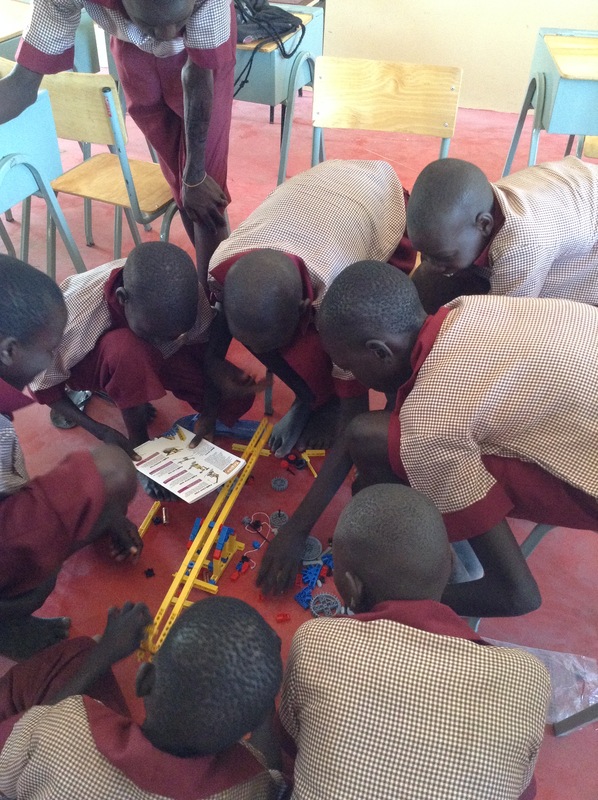 By integrating “maker” culture which focuses on DIY (do it yourself) engineering, students gained confidence and developed problem solving skills. Learn more below! Why support students in making and developing? 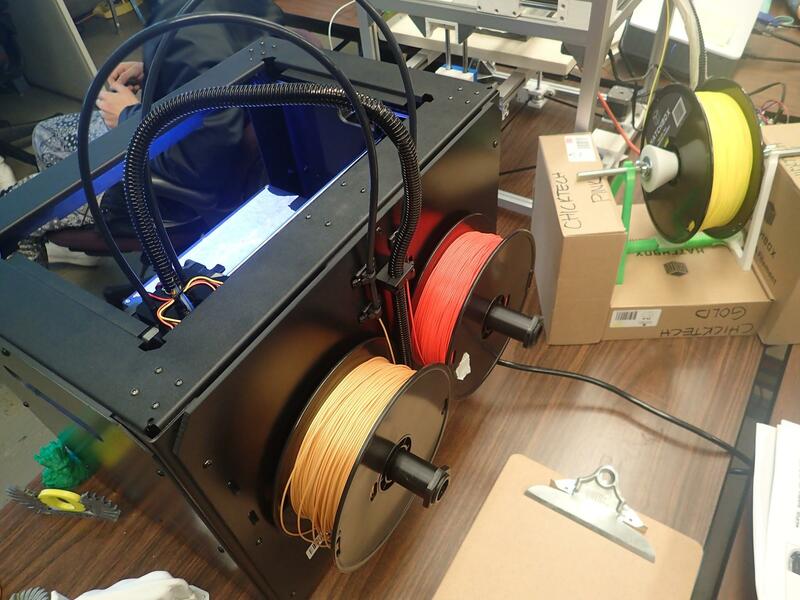 How can you use 3D printing and app development to enhance learning and student interest? In this project, students were offered access to workshops instead of their regularly scheduled classes. For five weeks, regular 3 hour sessions were offered on Tuesday and Thursday afternoons. Initially, others in the school were concerned about the length of the sessions, given that most students had a hard time staying involved in 45 minute classes. As the students became engaged and interested, the school community was pleasantly surprised. 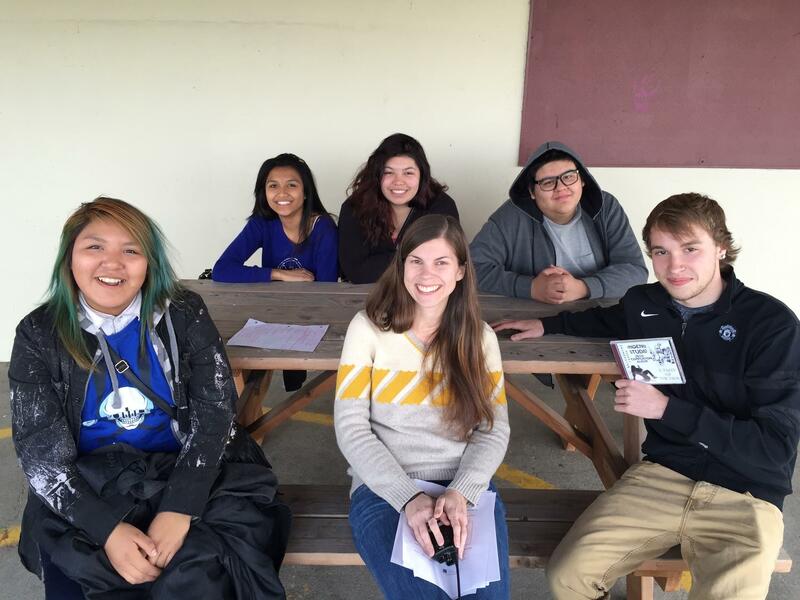 Students were not only engaged, but some stayed after school had ended to continue to work on their projects, a feat the report called “unheard-of” for this school. Workshops focused on two types of making, 3D printing and app development. The more that the students learned, the more creativity they expressed. The most rewarding project for the instructors was the most complex and required the students to integrate all of the skills they were learning over time. 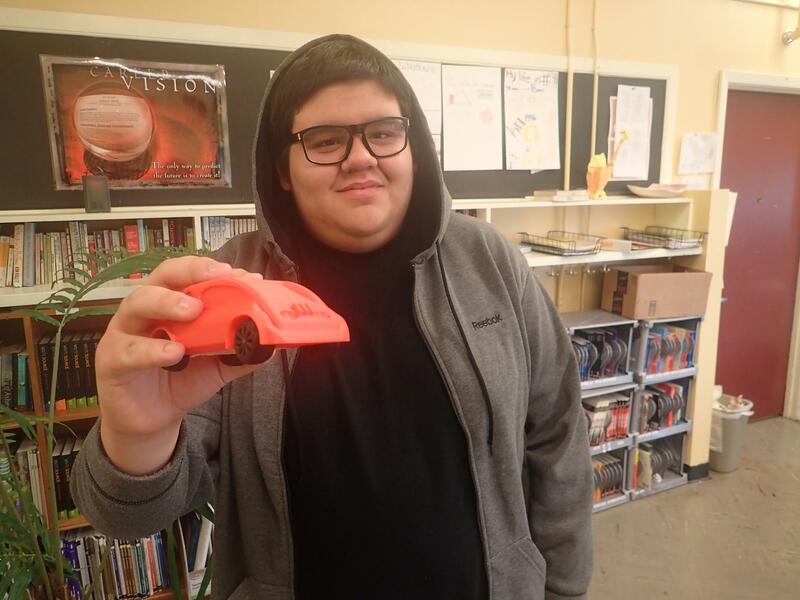 By creating a custom built car model including customized mufflers, tailpipes, headlights, spoilers and wheels the students moved way beyond 3D modeling and into the real world – their designs even had to follow strict guidelines in order to be printable. 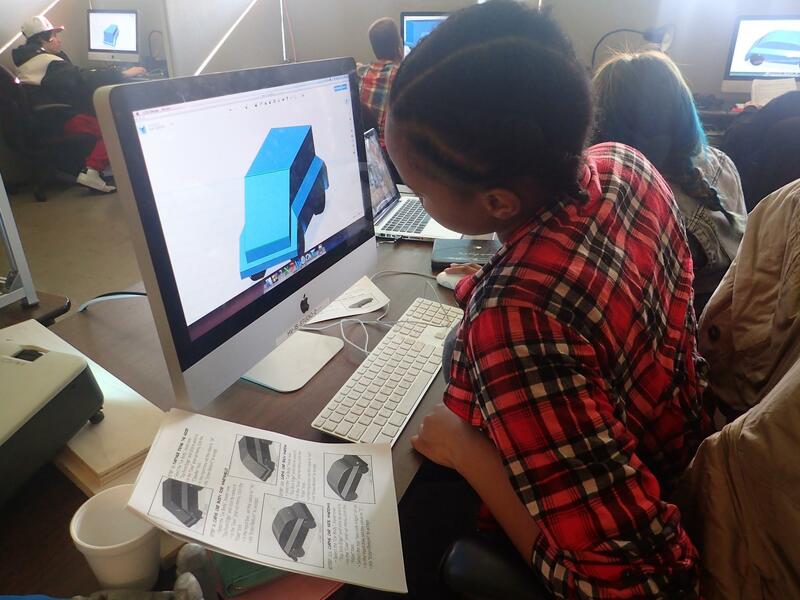 “By the end, the students who clearly wanted to be designers stood out as did the students who wanted to be the builders of 3D printers” (Project Report) highlighting the effectiveness of the workshops focused on these skills. The second series of workshops focused on app development, which also required the students to demonstrate complex problem solving skills. To get started, students followed a tutorial to learn TouchDevelop, an app creation tool, before brainstorming ideas for apps they would like to create. Once they decided what apps they wanted to develop they worked in teams to create them. “Successful developers (app or otherwise) have a unique ability to manage frustration well, and this skill really only comes with practice and time. I did see students give up quickly at first. There was a lot of waiting for instruction rather than self guided discovery. My impression was that there was still a lot of fear attached with “failure.” Failure is a good thing in the development world, it teaches developers quite a bit. After explaining that to students, they were more inclined to try and try again without feeling frustrated. I noticed around this time, too, that students were starting to share what they were learning. 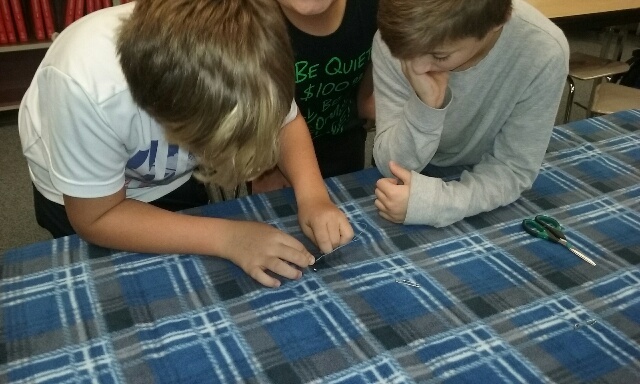 If a student came up against the same bug or error message as another student had previously, it became an opportunity for those students to collaborate, and learn from one another. We are fortunate enough to live in a world where apps are plentiful and most are very well made and fun to use. Once students learned how complex and time consuming the process really is, they were initially put off by the amount of work that loomed in front of them. Students came up with ideas that were really fun but ambitious. And once the hard work started, it was a struggle to keep the students motivated. The enormity of making an entire app that looked as flashy as something already on the market started to seem like a “why bother” scenario. 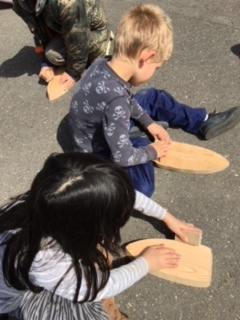 But, by breaking our apps into smaller, more manageable pieces, the students had consistent success with creating new features. After 5 weeks of workshops, the project team held a celebration party for all students, teachers, school and school representatives, and the workshop instructors. During this celebration, students showed off their projects and received feedback from the community. McCarthy-Dressman Foundation and Janice/ChickTech have made incredible contributions that have provided at-risk youth with eye-opening, confidence-building activities that are both inspirational and academically enriching. 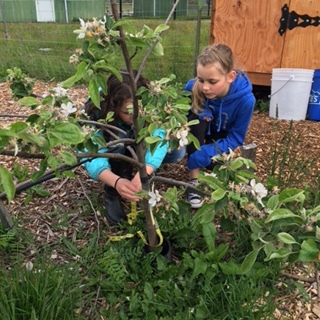 The workshops facilitated in this program are the perfect example of how collaboration between schools and outside organizations can deliver fresh experiences that are meaningful, cutting edge, and connected to real industry people who operate beyond the walls of the public school system. According to results of pre and post surveys, students were definitely enriched by this program. 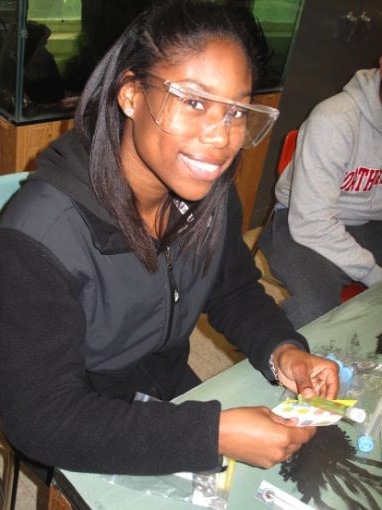 “Although this is a great experience for the students who attended, what if all of their classes were hands-on and interactive? What if they got to solve interesting problems, learn how to work as a team on things that affected them, and learned useful skills in every class? Can you imagine what the above numbers would look like for these students? I can, and it gives me hope for our society’s dismal track record of serving its highest-risk students. ChickTech described the challenges for project implementation included finding experienced instructors, curriculum developers and drag and drop software for app development. They also noted that the educators involved were already meeting many demands in the classroom which affected the overall timeline – in fact, the student post-surveys were obtained after the project concluded which may have decreased the amount of enthusiasm shown in comments on the surveys. In the future, the team plans to work with the same instructors so that less time can be spent on planning and their existing rapport with the students can be leveraged for more enthusiasm and interest. Even though some of the students are moving on before next school year, some of them plan to come back as teaching assistants or to work on more advanced projects with the support of the instructors. 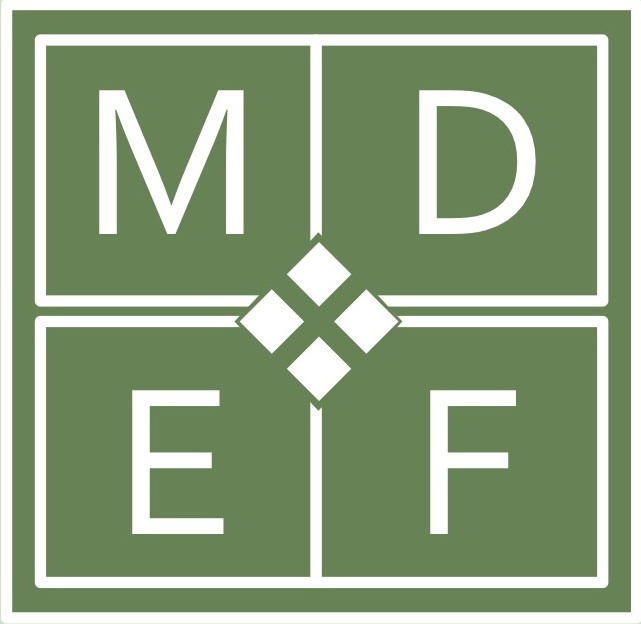 Funding for the project provided by the McCarthey Dressman Education Foundation supported this effort in several areas including instructor fees, teaching assistants, curriculum development, materials and evaluation costs. Sixteen students participated (50% male/50% female) which was perfect for the availability of resources within the school and the number of instructors. If you would like to learn more about integrating maker culture in the classroom to build student confidence, increase gender diversity in technology, and develop complex problem solving skills, we recommend the resources below. 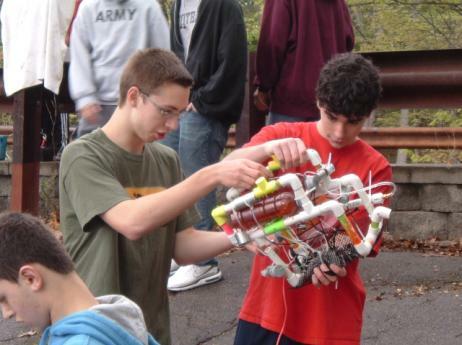 This entry was posted in Academic Enrichment, Engineering and Math, Science, Student Engagement, Technology and tagged 3D printing, app development, ChickTech, confidence, failure as a learning opportunity, Helensview Alternative High School, High school, learner growth, maker movement, partnership, Portland, problem solving, student development. In the age of the Internet, where we (kids especially) spend the much of our free time behind a screen, real interpersonal skills are at a premium. Being able to succinctly articulate your ideas is one of the greatest skills one can develop. It’s these skills that are an unintended benefit of The Workshop Model, a project funded by McCarthey Dressman Education Foundation designed primarily to help educators at Poudre High School more effectively communicate math concepts to their students. 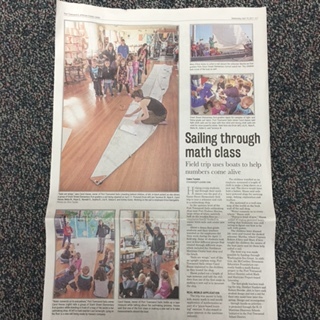 In turn, those students have practiced actively communicating with one another about how to best solve math problems. The result? Everyone learns an essential skill and everyone wins. But before that even happens, the teachers collaborate to come up with lesson plans that foster critical thinking and reasoning from their students. With all the time constraints already placed on educators, collaborative lesson planning may seem like a tall order. While it is a lot of upfront work, the dividends (which continue to pay off) make up for the time spent. Here’s how this collaboration was organized. 2013-2014: Incorporating Peer Observation For the next school year, teachers moved on to Geometry, spending eight full days to plan an additional eight units. The days were split between teacher development (lesson planning, addressing concerns, and sample tasks for students) and peer observation wherein one teacher would teach a class while the others observed and then gave constructive feedback. The collaborative opportunities were so successful that another professional development session was scheduled in August so those teachers could improve upon their lesson plans. In the interests of covering all their mathematical bases, they are opting to use this years funding to put together a program for Algebra II while also continuing investing in the educators they have already worked with. This enables them to both grow the program and improve upon the pre-existing structures, but it doesn’t stop there. In order to improve the standards of the whole district, all lesson plans were scanned and uploaded to district servers for all educators in the area to take advantage of. In addition to that, teachers from other schools are invited to take part and learn from the educators already in the program. This way those teachers can take what they’ve learned and implement it in their own schools. How can you use this model? 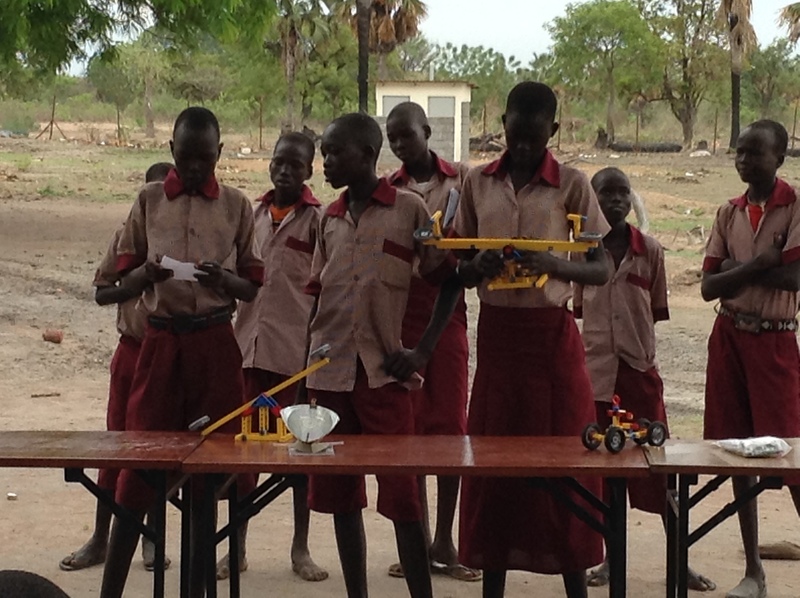 The Workshop Model is very flexible and can be used to teach any subject. The major cost comes from allocating days to prepare the lesson plans for the year along with any ancillary materials dictated by the specific need of the subjects and the units contained therein. At the very least, this model should encourage more educators to collaborate and learn from one another, even if this specific model isn’t officially implemented at their school. When teachers collaborate, it is clear: no one person has all the answers, but those answers aren’t far away if you are willing to work together. This entry was posted in Engineering and Math and tagged conceptual teaching, mathematics, teaching for understanding, workshop model.